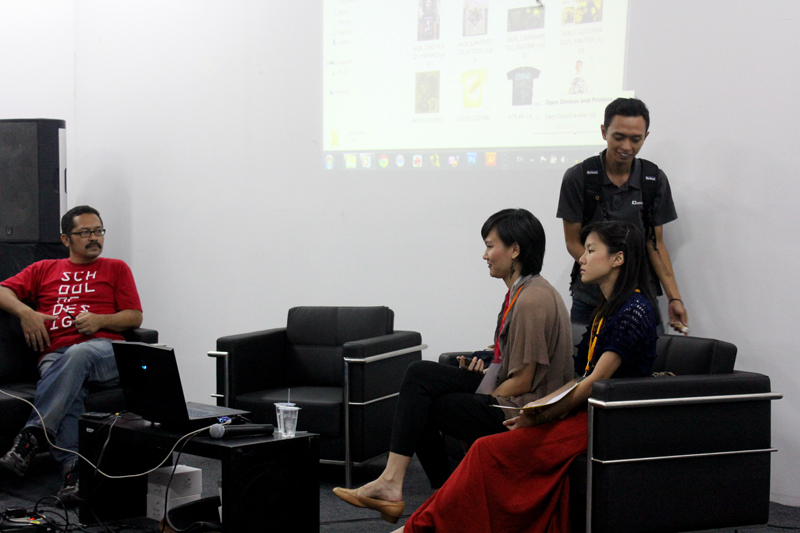 Juliana Tjitra, one of the founder of Raihasa a graphic house, talked about combining passion, and integrate it into business. She gave many tips how to bring your passion into your dream works and make money from it. The tips are: discover your passion first, never stop learning, dream+plan+do+see, have an integrity in good value, and last but not least is learn to manage. She got many responds from the audience, the show became interesting, and many questions has been asked during the show. In the end of the show she has a good advice for young students, you’re get hired depends on how you treat other people (clients) and not necessarily determined by your technical skills.